Britney Spears Rocks Some Really Tiny White Shorts And Miley Cyrus Is A Fan – Check Out Her Comment! Britney Spears took to social media to post an insanely hot photo of her rocking some really tiny white shorts, and it looks like a fellow star appreciated the look a lot! Miley Cyrus stumbled upon the snap and could not help herself from both liking and commenting! 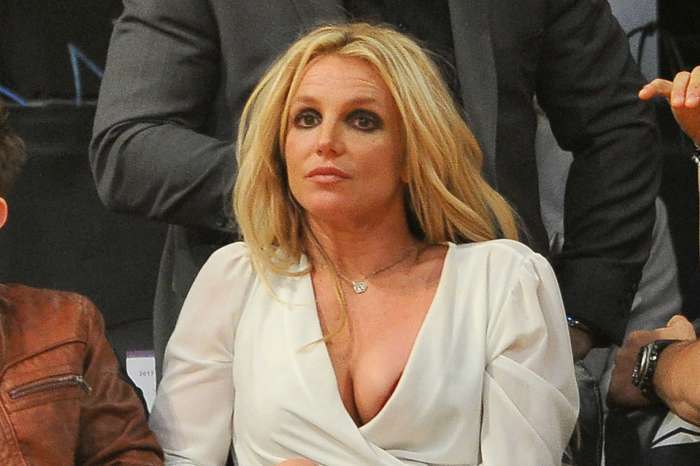 Whether you are a fan of Britney Spears or not, you have to admit she looks fantastic. The time she spends working out is really showing as the pop superstar is in top shape. In fact, the selfie we’re talking about was taken at the gym. She sexily poses for the camera in the white booty shorts and a pink sports bra and it is safe to say she managed to leave a lot of her fans with their mouths open in awe. ‘Found my white booty shorts,’ she simply captioned the post, attracting even more attention to the tiny shorts. Soon after she shared it, a huge number of people flooded the comment section with compliments, Miley Cyrus being one of them. ‘Yasssss,’ Miley wrote, obviously appreciative of Britney’s fit physique. Even though Spears has had her highs and lows over the years, she is definitely on the right path these days. This pic was shared not too long after news surfaced that former hubby Kevin Federline wants more child support. But it looks like the singer’s dad and conservator Jamie, refuses to pay Kevin more than what they agreed on when they split in 2007 – $20,000 per month. On the other hand, Brit’s ex and father of her boys is claiming that taking care of James and Jayden costs a lot more now that they are older. Jamie is still suspicious, reason why he wants to see the man’s tax returns.